Looking for pet friendly apartments in Kalamazoo? Look no further than Drakes Pond Apartments! 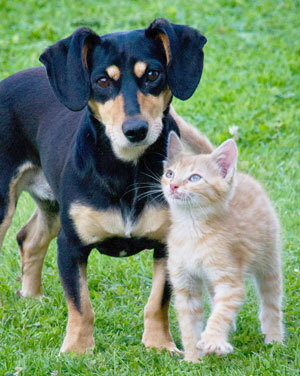 As one of the few pet friendly communities, we proudly allow cats and dogs here at Drakes Pond. Now your pet has the opportunity to relax by your side and enjoy the comforts of your apartment home. The following pets are not authorized at Drakes Pond Apartments: snakes, lizards, sugar glider, flying squirrels, chinchillas, ferrets, reptiles, amphibians, rodents, or venomous animals of any kinds. The following are the owner’s requirements: Pets must be inoculated, proof of age, all deposits and fees must be paid on or before the date the resident takes possession of the apartment. Drakes Pond Apartments complies with all fair housing requirements. Valid Service and/or Support Animals are not considered pets, and are not subject to this policy.